New Delhi: Kicking off a price war in the mid-sized sedan segment Ford India today launched the new version of its Fiesta model, priced up to Rs 9.29 lakh (ex-showroom Delhi). The new Fiesta will directly take on Honda City and Hyndai Verna and is priced Rs 67,000 to Rs 1.7 lakh lower than the competition, depending on the variant. 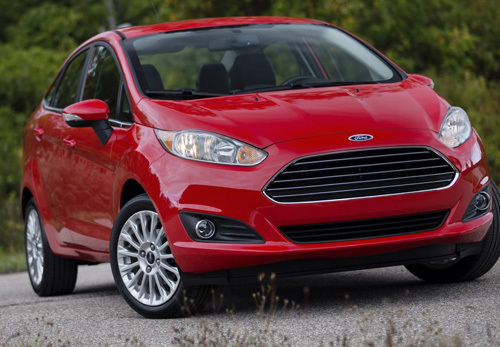 The 2014 Ford Fiesta will be available in three options ? Ambiente, Trend and Titanium, all powered by 1.5 litre diesel engine, the company said in a statement. The Ambiente will be available at Rs 7.69 lakh, while the Trend comes at Rs 8.56 lakh and the top-of-the-line Titanium is tagged at Rs 9.29 lakh (ex-showroom Delhi). The segment leader Honda City in diesel option is available at a price range of Rs 8.37 lakh to Rs 10.99 lakh. Hyundai Verna in diesel option is available at a price range of Rs 8.36 lakh to Rs 10.80 lakh for comparable variants. Ford India claimed the car delivers a fuel efficiency of 25.01 km/ltr as per ARAI test. Ford India President Nigel Harris said the Fiesta has a very special role in the company's product portfolio and the 2014 Fiesta with its attractive price makes it an "even more compelling option for discerning enthusiasts".